Willandra Lakes Region World Heritage Area is an ancient landscape formed by wind and water. The area includes a small section that is Mungo National Park, where Mungo Lady and Mungo Man were uncovered. Dating human habitation back to more than 40,000 years the discovery is believed to be the world's oldest site of ritual ceremony. Preserved in the arid environment are ancient fireplaces, calcified plants, stone tools, and animal bones. Find out more on a walking tour with one of our Aboriginal Discovery rangers, or cycle Zanci Pastoral loop, past dunes and under wide open skies. The iconic views from wheelchair-accessible Walls of China viewing platform are some of the best in World Heritage-listed Mungo National Park in Outback NSW. Historic Vigars Well picnic area offers vast dune views, picnicking and birdwatching on the scenic Self-guided Drive tour in World Heritage Mungo National Park. 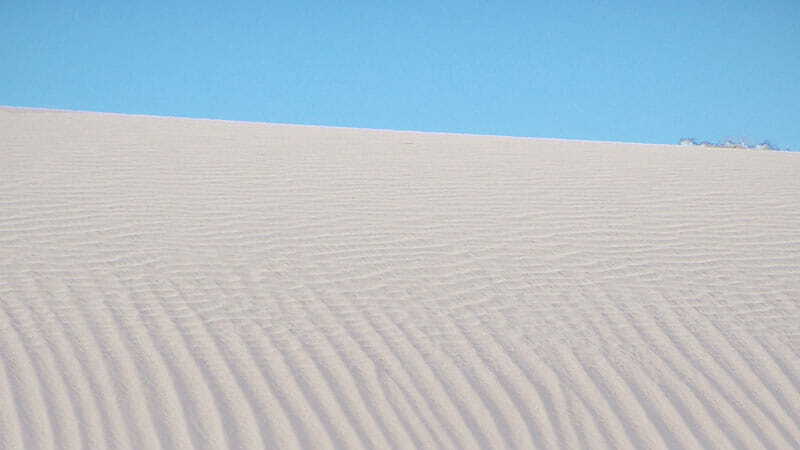 Share Aboriginal heritage and climb dunes near Lake Mungo on this outback walk in Willandra Lakes. Combine the Mallee Stop walking track with a picnic for the ultimate visit. Wheelchair-accessible Grassland Nature trail is a short, easy walk through grassy woodlands offering scenic views and birdwatching near Willandra Lakes in World Heritage-listed Mungo National Park. Understand what makes Willandra Lakes World Heritage Area such a fascinating place, in Mungo National Park, on the Visit Mungo website.